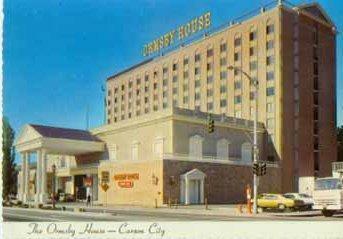 I found a few classic postcards of the Ormsby House listed on eBay (here and here). I just wanted to share these, since there isn’t anything else going on with the old O.H. right now. They’re a little fuzzy because of the small thumbnails on eBay. 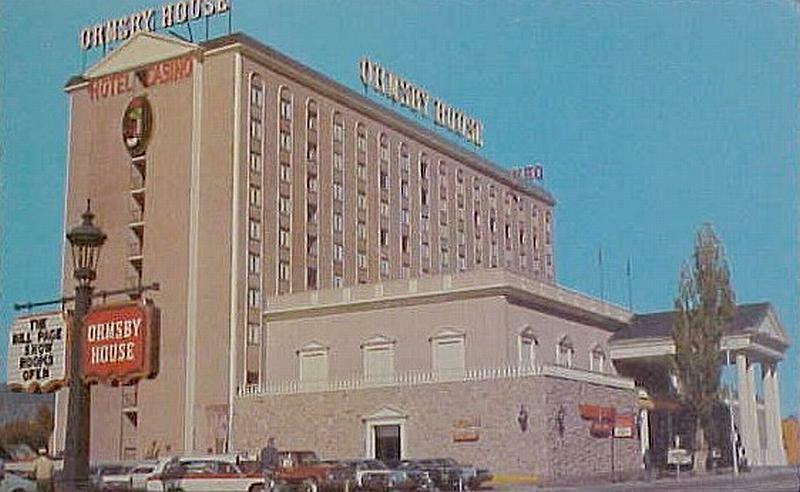 It’s pretty funny to see the old ugly Ormsby House, with the FakeDoors™ and the neon and the brown walls and everything. 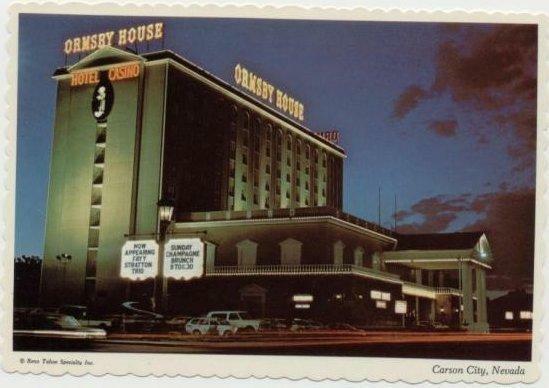 It really was awful (except for the neon – that was cool). 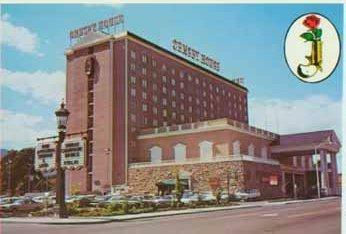 And the second picture is really cool because it shows the casino before it was expanded to the north. I never knew there was parking along Fifth Street there! And I wonder what ever happened to the “Fatty Stratton Trio”?